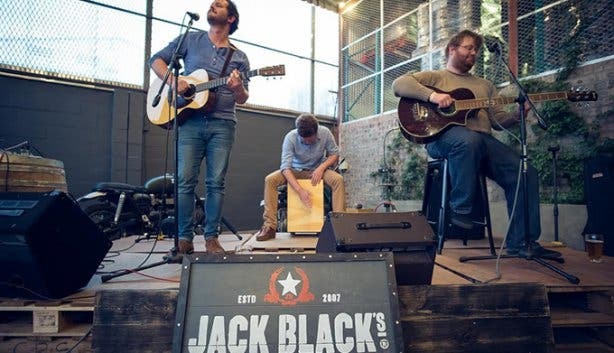 Every Friday night the Jack Black Brewery is livened with stellar performances by local bands, paired with the ice cold refreshing taste of Jack Black on tap. 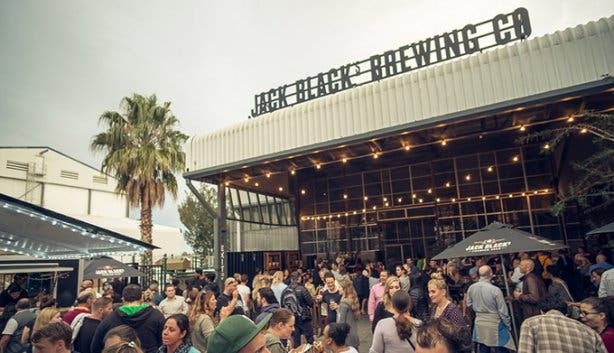 The modern taproom and brewery situated in Diep River is where the magic of Jack Black comes together. The gorgeous brew house in Diep River is a 30 Hectolitre system from Germany. “The system is pretty much automated up until the fermentation part of the process,” says Assistant Brewer, Dan Behrens. On a Friday night, once all the beer has been brewed for the day, patrons are encouraged to come along and experience the let-your-hair-down side of the brewery. 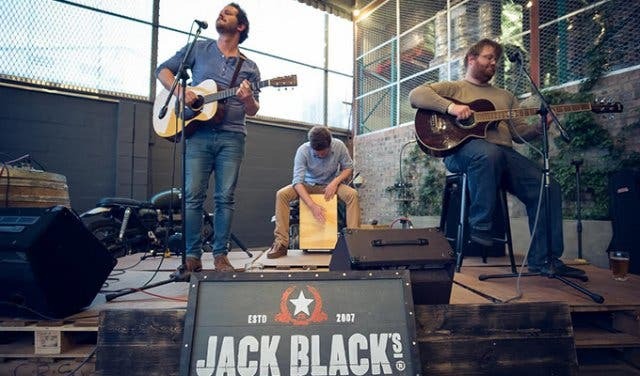 The taproom caters to all to enjoy the smooth, refreshing taste of Jack Black, all the while listening to the sweet tunes of up-and-coming local bands. The brewery and taproom also hosts an open mic night on Thursdays, which encourages musicians to perform. This is a great opportunity for upcoming musos to ‘audition’ for the Beer and Bands event on a Friday night. The fresh-out-of-school band, CrossCurrent, were the winners of the open mic nights, who were then approached to play a set at the Beer and Bands event. “We’re happy to be a part of their journey as we know that they will go on to do some amazing things,” says Marketing Co-Ordinator Frans Van Staden. Note: On the last Friday of the month, Jack Black offers Beer and Bands on steroids! 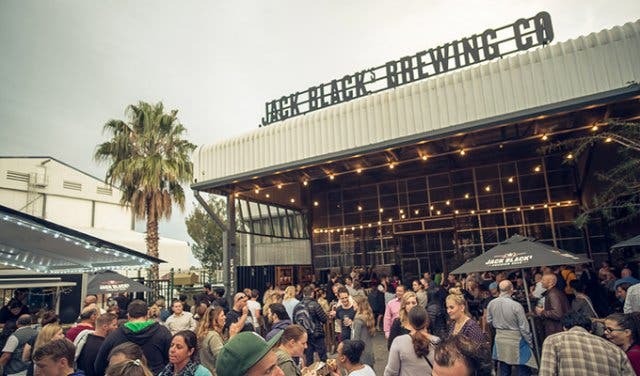 The taproom offers a Food Truck Friday event which incorporates the best food trucks in Cape Town, combined with local bands playing sweet tunes and refreshingly crisp local craft beer. Jack Black Brewery and Taproom is open from 10am–10pm for food by chef Clara Bubenzer and cold beer served from the source. Local bands hit the stage around 6:30pm and run until 9:30pm. Entrance is free. Contact Jack Black Brewery on +27 (0)21 286 1220 or email taproom@jackblackbeer.co.za for more information. 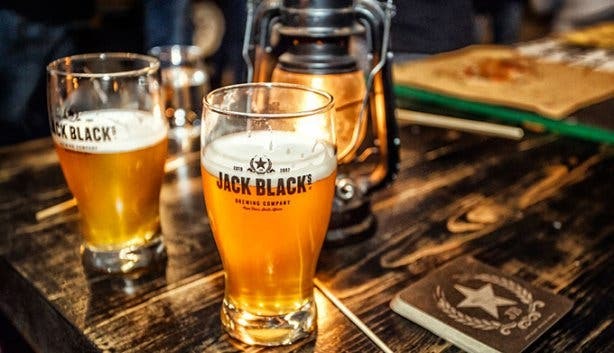 Tip: Jack Black Brewery not only serves craft beer from its source of origin, but also serves seven beers that are available all year round! 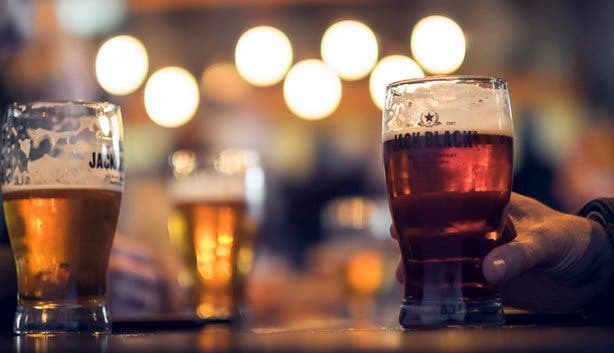 Want to know more about Jack Black Brewery and Taproom? Read about Jack Black here.